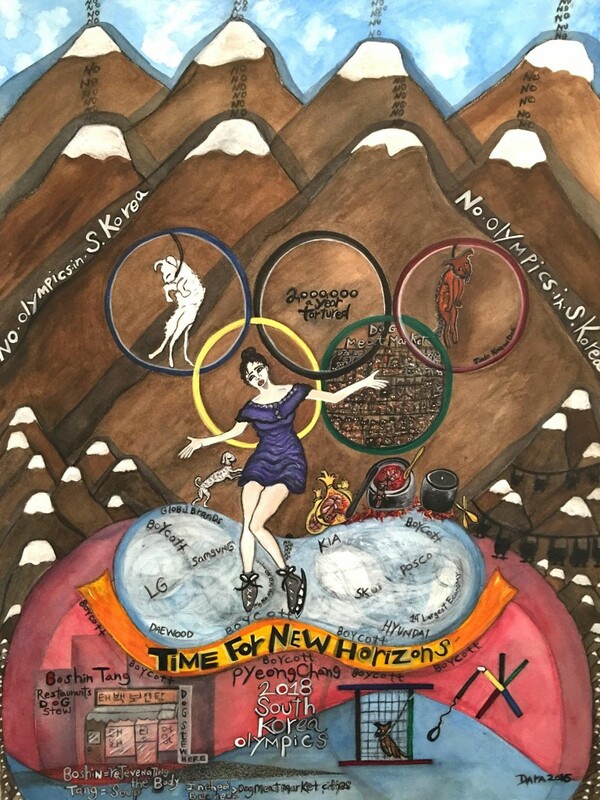 Home / Blog / “Boycott PyeongChang 2018 Winter Olympic” Poster by Dara Herman Zierlein. 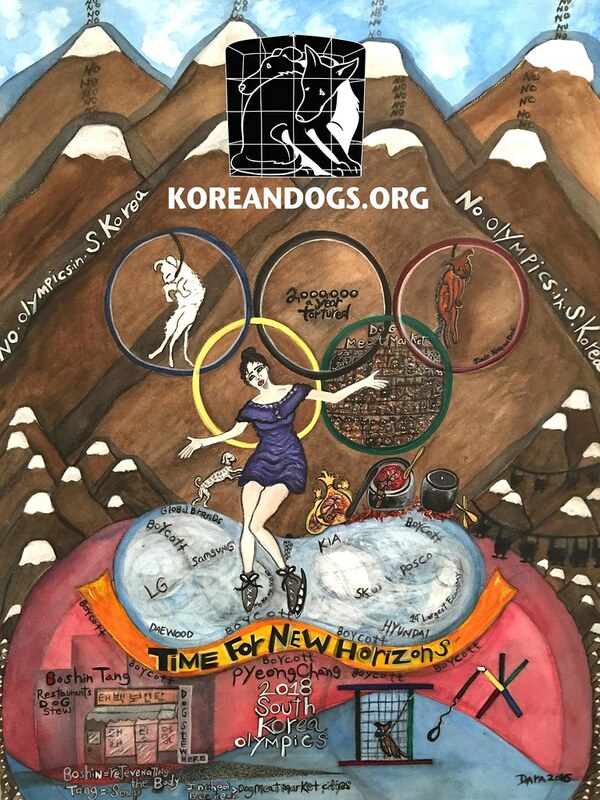 We received this wonderful poster “Boycott PyeongChang 2018 Winter Olympic in South Korea” from Dara Herman – Zierlein. She is an art teacher and she sent her protest letter (in her own words) along with this poster to the new South Korean president Moon Jae-In. Thank you, thank you, Dara!! Yes! please use this image anywhere you need and in anyway you need. It is a donation to Koreandogs.org from me. Art can be a powerful tool to get a message out and easier to look at then photographs at times. I find that when I want others to know about what is happening in S.Korea, China, Thailand etc…. they beg me not to send real photos. If they looked, then they would act is what I say! It’s not for everyone’s heart to be able to endure seeing the suffering. I admire your on going energy to help the animals. You may not be able to paint like Dara but you can send a protest letter like Dara. Click HERE to do it today. Can one buy the poster? It is sad/beautiful, but I word like one. Can one buy the poster? It is sad/beautiful, but I WOULD like one.